Despite a recent boom in multi-family housing projects, the rental vacancy rate across Missoula fell sharply to a scant 2.9 percent in 2016, tightening an already narrow market for area renters. Even so, the price for rent decreased slightly last year in nearly all categories. The figures were released Thursday as part of the Missoula Organization of Realtors annual housing report, one that looks at housing supply, prices, trends and demand across a number of categories. According to the report, the rental vacancy rate declined in both the third and fourth quarters of 2016, despite new units coming onto the market and a lower enrollment at the University of Montana. The vacancy rate for a two-bedroom unit went from 4 percent in June of last year to an all-time low of 0 percent by December. 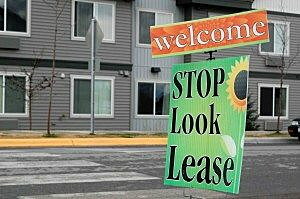 The overall vacancy rate was 2.9 percent in Missoula. 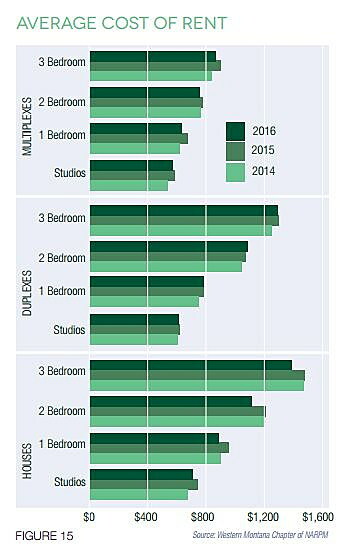 Despite the low vacancy rate, rental prices leveled out in 2016 at an average of around $770. Rent for a one-bedroom apartment in a multiplex unit listed at $625 while the average for a three-bedroom unit was $1,117. Jim McGrath with the Missoula Housing Authority said the age of the city’s housing stock may also factor into the price equation. Roughly 54 percent of that stock was built prior to 1979. “I get asked all the time, ‘We’ve got buildings jumping up everywhere and all this stuff going on,’” McGrath aid. “But when you look at the rents in some of those buildings, because of the cost of development and whatnot, the rents are very high, and yet average rents aren’t necessarily going up yet. The latest estimates by the U.S. Census Bureau now place the city’s population at 71,024 residents while the county has grown to around 116,000 people. Coupled with the lull in building during the recession, the population increase has placed increased pressure on the city’s housing market, including the supply of rentals.